Absolutely amazing NEW PRICE... Spacious and rustic farmhouse that's completely turn-key offers so much, starting with an amazing updated gourmet kitchen. Stunning white carrera marble counter-tops and large island with all stainless appliances. This first floor level wraps around to the dining and family room areas which makes it great for entertaining. Lots of traditional charm yet very modern. The home is full of natural sun-light with beautiful wide-plank dark wood floors throughout. 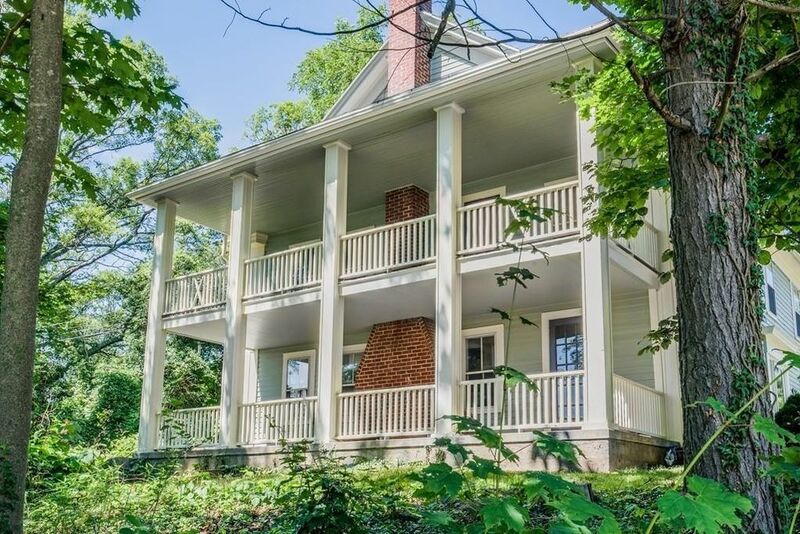 There are double porches - upper and lower that make this feel like a southern mansion. The property has updated systems including roof, electrical and heating. Amazing detached garage/workshop that will excite any task-master or hobbyist. There's a huge - flat backyard with lots of parking. This home features a very unique, two level in-law suite with separate entrance. Too much to describe - an absolute must see!! Directions: Farm Road to Cook Lane on the corner. Enter on Cook.